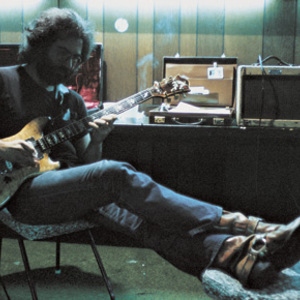 Jerome John "Jerry" Garcia (August 1, 1942 ? August 9, 1995) was an American musician, songwriter, and artist perhaps best known for being the lead guitarist and vocalist of the psychedelic rock band the Grateful Dead. Garcia was viewed by the media as the leader or "spokesman" of the group. Performing with the Grateful Dead for its entire three decade career (which spanned from 1965 to 1995), Garcia participated in a variety of side projects, including the Jerry Garcia Band, Old and in the Way, the Garcia/Grisman acoustic duo, and several solo albums. Performing with the Grateful Dead for its entire three decade career (which spanned from 1965 to 1995), Garcia participated in a variety of side projects, including the Jerry Garcia Band, Old and in the Way, the Garcia/Grisman acoustic duo, and several solo albums. He also contributed to a number of albums by other artists over the years as a session musician. He was very well known by many for his highly distinctive and original guitar playing and was ranked 13th in the Rolling Stone's 100 Greatest Guitarists of All Time cover story. Later in life, Garcia was sometimes ill due to his unstable weight. After experiencing a diabetic coma that nearly cost him his life in 1986, Garcia endeavored to live on healthier terms until his sudden death in a rehabilitation facility in August of 1995. * Pure Jerry ? a series of live concert CDs released through the official Jerry Garcia web site.